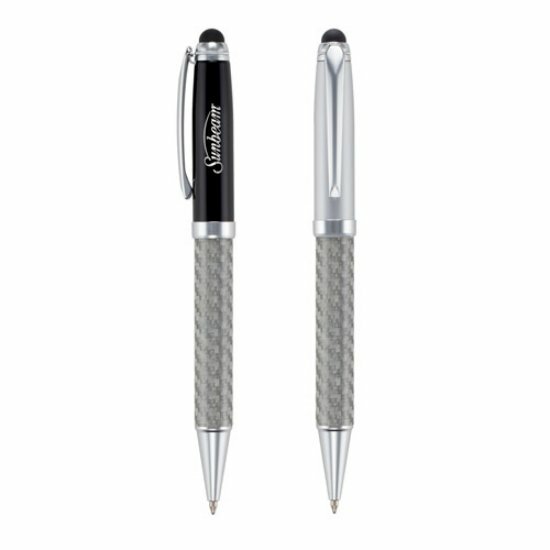 Metal twist-action ballpoint pen with carbon fiber barrel and chrome trim. Includes and ultra-soft Stylus that works on all smart phones and tablets. Includes 1 location Laser Engraving. Set up fee $ 60.00. Includes 1 colour, 1 location Imprint. Set up fee $ 30.00.